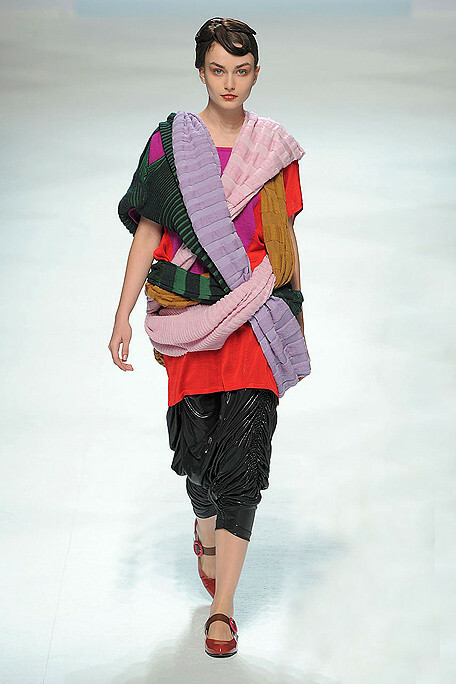 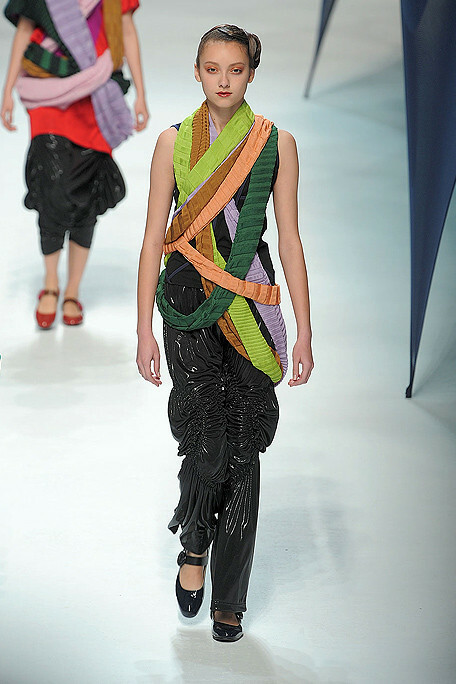 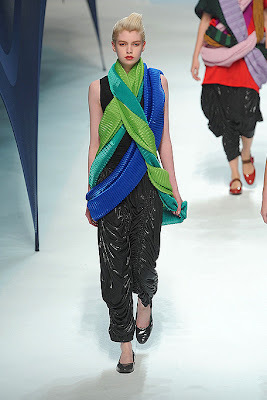 For all those knitting addicts out there a few inspirations from the Fall 10 collection of Issey Miyake. 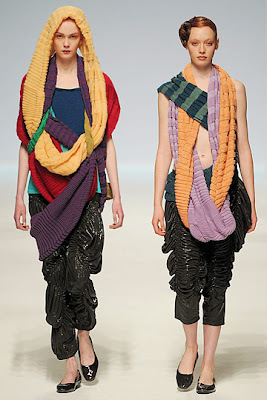 Finally some wild knit stitches. 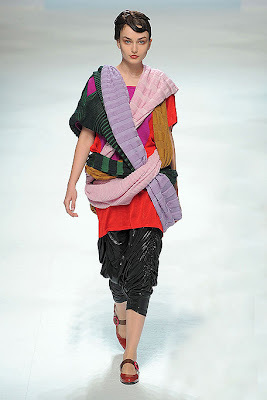 The world needs more!